Men are like dogs. A big statement, I know, but read on before judging. Let me first qualify my assertion by saying that being compared to a dog is no bad thing. I mean, who doesn’t love dogs? The question is, are you coming across as an Alpha or a lapdog? So why do I say men are just dogs in beige chinos and light blue button-ups? Fact #1: What we do know is that dogs communicate using a complex language of body signals that reflect what they are thinking and feeling. They use these signals consciously and unconsciously to communicate intent and ensure their personal safety by affecting behaviour in others. Fact #2: Men tend to unconsciously display identical basic instincts, and the exact same body signals. For example, when a dog senses threat you will know it. Their ears will point skywards, their bodies will quiver and the hair on their backs will raise. Faced with an Alpha they have three choices: Fight, flight or submission. If they decide to take on the challenger they will lean forward (ready to spring), facing the perceived threat head-on with hard, staring eyes. This is because dogs anticipate an attack from the front. So do mankind (and I literally mean MANkind). Men, like dogs, anticipate being attacked from the front. 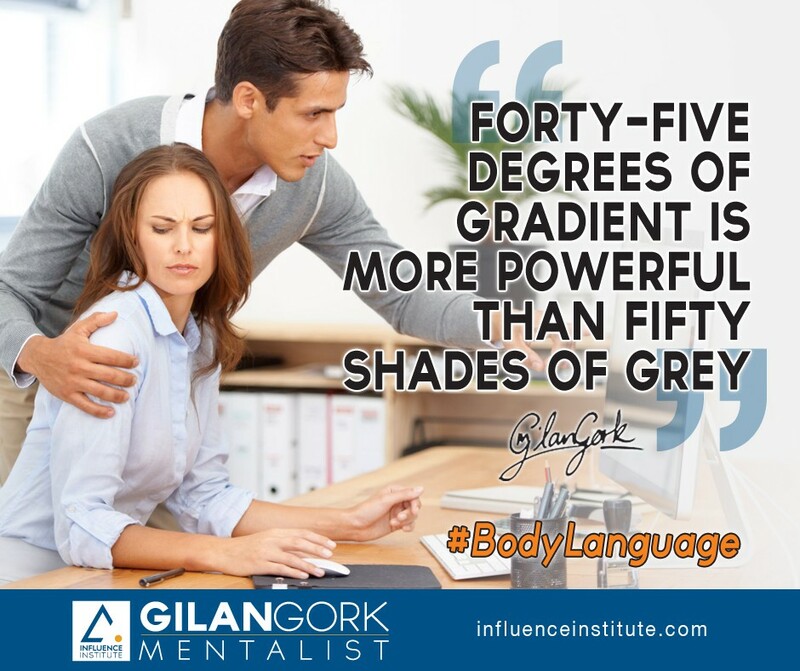 That’s why they prefer to engage with other men with their bodies shifted away from each other at 45-degree angles. In the video above I use covert cameras to record how other men, who I strike conversations with in a shopping mall, react when I disrupt our perfectly relaxed 45-degree angle, and insist on facing them directly from the front. It is clear that us men instinctively become more wary when people approach us head on. Interestingly, the same message delivered by the same person, with his body turned away at an angle, will seem confident and goal-oriented but not aggressive. Females reading this will probably perceive this behaviour as ridiculous and a testimony to testosterone induced silliness. However, the same rules apply to women – only women tend to anticipate being attacked from behind, therefore they prefer to face each other (and the opposite gender) head-on in conversation. This is because people standing at an angle makes women suspicious – immediately triggering a fight or flight reaction that is probably non-conducive to a meaningful conversation. Does this mean that for ‘safe and non-aggressive’ engagement men should angle away from other men, but face women square-on? Does it mean women should face each other but stand at an angle to male counterparts to avoid seeming aggressive or competitive? That, of course, depends on your objective. For example, a female boss might choose to stand square-on to her male employee to better establish hierarchy. Or when a dominant male needs to exert pressure to monopolise a conversation, he would use the direct body point. Part of the fascination of body language is the subtlety involved. As you’ve learnt in this article and video, something as simple as the way you stand in relation to another person can make a significant difference to how they’re likely to respond. If you come across as confrontational, this is hardly conducive to good influence. 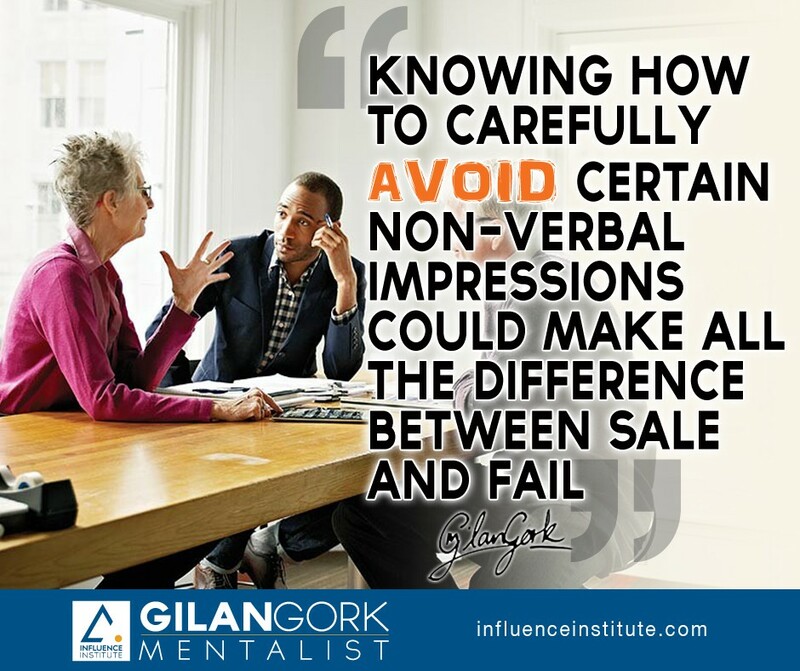 Knowing how to carefully avoid giving a negative impression could make all the difference between success and failure. You want to come across as confident without seeming aggressive or arrogant. As this video shows, care is needed! 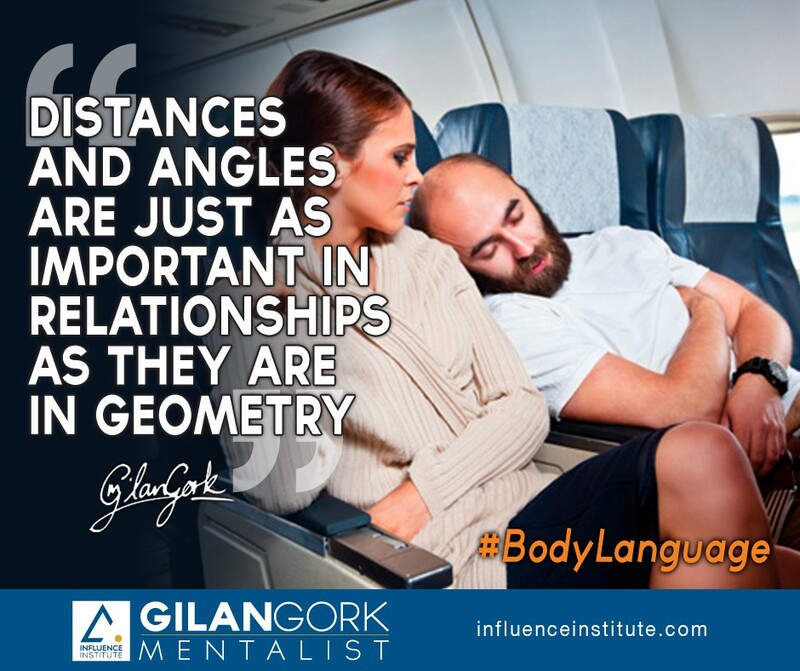 Navigating the subtleties of relative stance and body positioning isn’t easy — and the different sensitivities of men and women add a further layer of complexity! While women prefer a straight-on face to face conversation, standing too close may be misinterpreted as sexual invitation or aggression, invoking fear or mistrust. 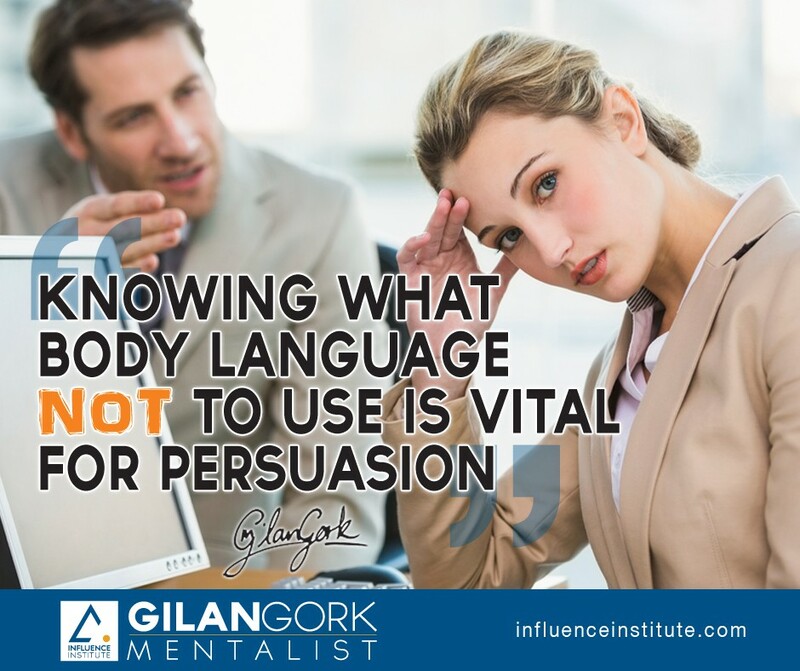 Start studying and influencing people using the hidden power of non-verbal communication. Help your business teams gain powerful skills and insights through my free online content or by hiring me to present a corporate talk or masterclass.